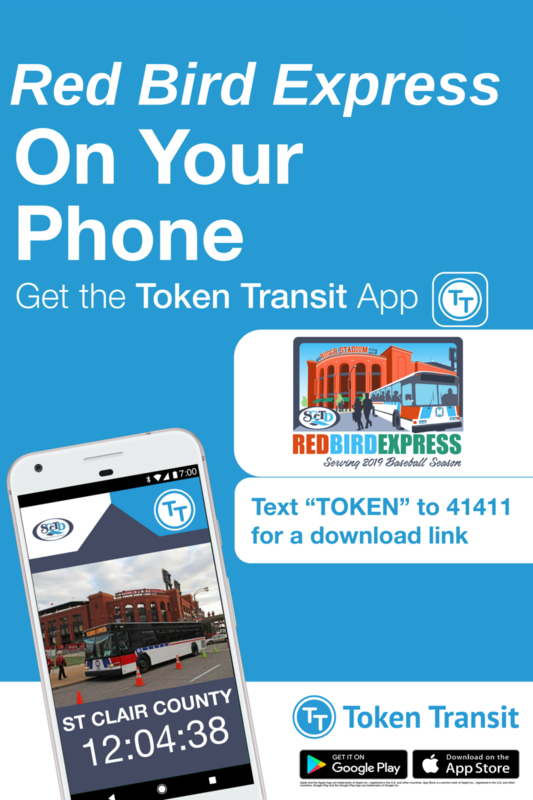 New ticketing options this year for the Red Bird Express. You can use the mobile ticket options through Token Transit, or you can buy your tickets onsite at the Ticket Booth at St. Clair Square (cash only). Remember Tickets must be purchased before you get in line to board the bus. There will be no cash sales outside the buses. Thanks and Enjoy the 2019 Red Bird Season.